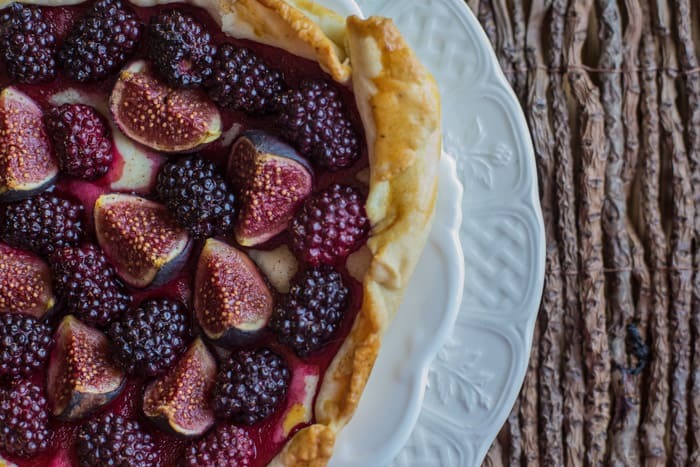 This Fig and Blackberry Galette couldn’t be easier to throw together, yet makes an impressive dessert using perfectly ripe autumnal fruits. Traditionally blackberry season is coming to an end, so you’ve just got time to get out and pick yourself a punnet or two to knock up one of these simple and tasty galette. You don’t need to sprinkle with brown sugar or drizzle with honey as the fruit is plenty sweet at this time of year, but your tastebuds won’t regret it if you do! Roll out the pastry to around 3-5mm. It doesn't have to be perfect, but aim for a circular shape. Lay it out onto a baking sheet and crimp up the sides roughly to form a dish that'll hold in any juice from the fruit. 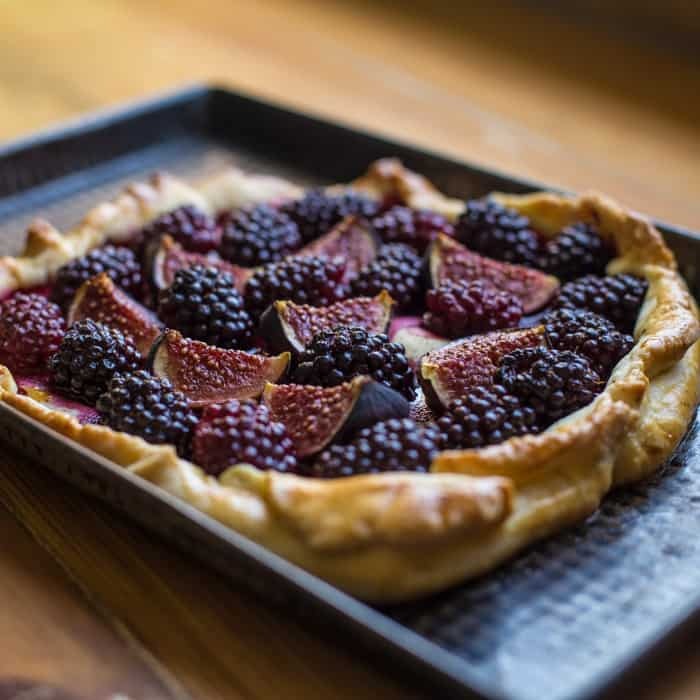 Pop in a single layer of quartered figs and blackberries, scrape over some freshly ground nutmeg and drizzle with honey or sugar if you fancy. Brush the pastry edges with beaten egg and bake for 25-30 minutes or until the pastry is golden brown and the fruit cooked through. 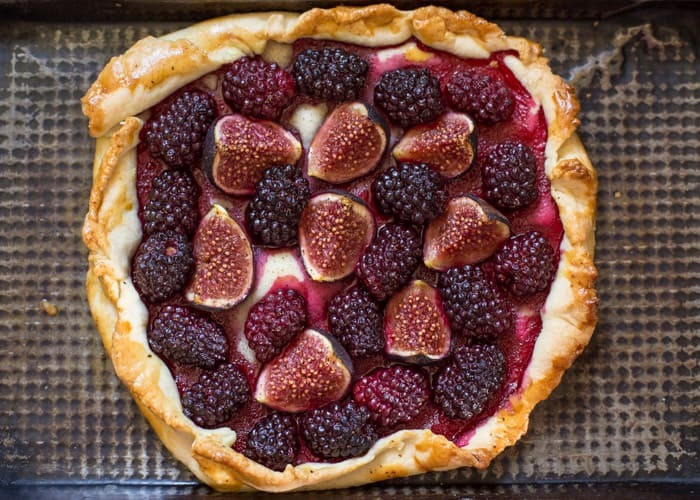 Not only do the colours of the blackberries and figs go so well together, just looking at this galette made me want to take a big bite. The flavours, enhanced by roasting in the oven. Mmm delicious. Thank you. Sammie. Your galette looks so much better than mine – Pinning to try later.